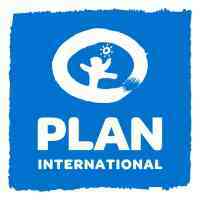 Plan International is a rights-based development and humanitarian organisation working for better lives for all children. We are independent of government and have no political or religious affiliation. Our global strategy has a specific focus on girls, as they are often the most marginalised, and most often left behind. We have committed ourselves to the ambitious target of reaching 100 million girls over 5 years, to ensure they can learn, lead, decide and thrive. This is our contribution to reaching sustainable development goals, and in particular the goals on gender equality. As a Country Director, you will drive Plan International’s programme and influencing work, setting overall direction, leading a high performing team, ensuring accountability for meeting demanding targets and maintaining alignment with the global strategy. You will be deeply comfortable with leading transformative change, have a demonstrable commitment to gender equality and relish the prospect of representing Plan International to the highest levels of government, civil society, the media and international media. You will understand and drive efforts to deliver positive change for girls through advocating, campaigning and communicating at a national level. Equally you will ensure the country operating model is fit for purpose, we have the right funding mix to achieve our ambition, key business processes are in place and organisational values are embedded in everything we do. You will lead by example in ensuring gender equality is evident in everything we do from staffing, to programing and influencing, to ways of working. You will work with your team to bring about the right culture that ensures we are champions for girls and gender equality. You will lead a motivated team, ensure legal compliance, and be ready and able to respond to emergency and development needs of the most marginalised children, especially girls. Plan International has been working in Tanzania since 1991, helping vulnerable children, young people, and their families to break the cycle of poverty. Plan Tanzania’s country office is located within Dar es Salaam and 8 Program Units (PUs) in 13 regions. Plan is involved in humanitarian programming in the Burundian refugee camps in Kibondo. Plan International Tanzania has embraced a partnership model and works with 20+ partners at both local and national levels. Currently the country office implements a viable portfolio of approximately Euro 13 million/annum. This includes sponsorship and grants from both bilateral and multilateral donors e.g Global Affairs Canada, Global Sanitation Fund, AFD, USAID, EU, NORAD, SIDA, ECHO, UNHCR, UNICEF, and private donors. We currently employ approximately 280 staff with a Country Leadership Team of 30 members, 8 of which reporting directly to the Country Director. Plan International Tanzania is a member and co- lead of the DRM Centre of Excellence on girls in crisis and also a member of the 18+ Centre of Excellence on ending child marriage and teenage pregnancy and the Centre of Excellence on Cost Recovery. As part of the broader organizational effort to transform itself to achieve greater impact, Plan International Tanzania will be going through a transformational change and strategy development process in 2020. This process requires leadership of the Country Director and experience in change management. The organization is committed to meeting safeguarding expectations across all its operations and will expect the country director to ensure all incidents regarding child abuse and sexual harassment are reported and effectively managed. Ensure effective and swift emergency preparedness analysis, risk reduction and resilience building is part of all our programme and influencing work in country. Work with and lead the country management team to ensure Plan International is ready to respond to emergencies – predictable and sudden onset – in a timely and professional manner and show consideration for gender equality. The location of programme work is regularly reviewed to ensure alignment of sponsorship and grant funding, that existing sponsorship communities receive regular benefits as per the Sponsorship Commitments and that phase in and out of communities are managed appropriately. Country leadership and staff are well aware of the country security situation and protocols, and Standard Operating Procedures are developed and implemented giving due consideration to security and safety of staff and visitors. The Country Office meets performance against organisations management standards at all times. Generate solutions for identifying and supporting high performing staff to deliver country objectives. Ensure that Plan’s portfolio of work is registered with the relevant authorities and compliant with local law, including having the relevant MoUs with concerned ministries that give due recognition to Plan International and its work. Deliver grant and sponsorship work on time with clear measurable impact on children and in full compliance with donor requirements and Plan International’s policies and procedures ensuring that effective monitoring and evaluation systems are in place to measure outcomes and stimulate learning within and beyond the organization. Develop and Implement an effective Resource Mobilisation strategy that enables Plan International to maximise its value in country, meet its strategic ambition and has the greatest impact for children. Explore local funding opportunities and support proposal development in partnership with Plan International’s National Organisations and in line with the agreed strategy. Develop, implement and maintain strategies, capabilities and structures to maximize the impact of Plan International’s influencing work on key decisions with respect to gender equality and girl’s rights. Lead representation of Plan International’s work and positions on priority issues to all key stakeholders within the country, including media and the highest levels of government. Initiate and engage in extensive collaboration with local and central authorities, INGOs, national NGOs and local communities. Ensure timely and engaging external communications that keeps Plan International at the forefront of the issues affecting children and equality for girls. Be an active contributor and volunteer to participate in global or regional initiatives where you believe your experience can add value or where your country can benefit from and contribute to such work. Other Country Directors, especially those in the region. Functional departments in International Headquarters. Other INGO leaders and networks. Experience and understanding of the concepts of sustainable community development and participatory approaches and practice in development interventions. Knowledge of programming in challenging environments with good understanding and appreciation of the historical, security context, political environment, economic, social/religious and humanitarian context in Tanzania or a comparable environment. Proven skills in the development and management of effective and motivated teams, including distance management. Excellent English and written and verbal communication skills. Strong diplomatic and communication skills, including through mass-media in order to influence decision-makers and key stakeholders.